The Philippines participated in commemorating The World AIDS Day 2016 event last Thursday, 1 December. In the Quezon City Memorial Circle, several non-government organizations along with directives from the Department of Health (DOH), Joint United Nations Programme on HIV/AIDS(UNAIDS), and the World Health Organization (WHO) joined together to lead the advocacy of promoting sexual health awareness and ending the stigma that still looms around HIV/ AIDS today. The event was interactive in nature as participants were given free food and T-shirts they could wear for the event. Participants can also write down their sentiments and support for the cause on a white freedom wall near the entrance. Upon registration, people are each given passports containing a list of the participating organizations in which people were urged to visit all of the booths where they may receive collectible stamps for their passports as they go over a number of interactive games and information giving systems. 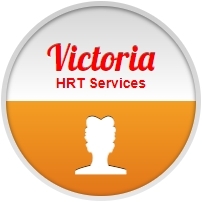 Furthermore, HIV testing centers were put up by the participating organizations so as to offer the people a complete experience of getting tested,finding out one’s status, and what it means to be involved in the advocacy. 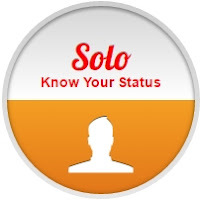 The World AIDS Day is an annual celebration that began in 1988 which has since then aimed to support people living with HIV/ AIDS in terms of social acceptance and letting them receive the health care they deserve. Moreover, the event is held to honor the experiences of advocates and health volunteers who willingly heeded the call in helping to fight the still pervasive spread of the virus. 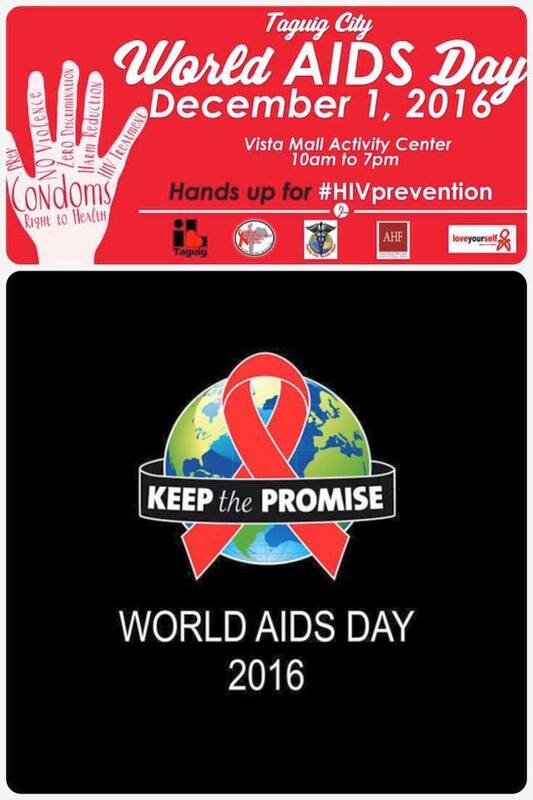 This year’s theme for The World AIDS Day is Hands Up for #HIV Prevention which aims to develop inclusive events that not only centers on the LGBTQIA community but also extends an open hand to the vast majority of the population who remains oblivious to the virus. The HIV/ AIDS and ART Registry of the Philippines (HARP) reports a total of 841 cases of people who were diagnosed asa seropositive as of June 2016. This is the highest number of cases they received since 1984. As of October 2016, 26 Filipinos get infected daily by the virus. HARP further notes the steadily rising cases among the youth within the age bracket of 15-24 years old.From July to October 2016, 885 cases came from this age group. This figure comprises 27% of the total number of cases this year. Representatives from the DOH, UNAIDS, and WHO called for the youth to develop an equally symptomatic action to help curb the swiftly rising HIV cases in their group. Meanwhile, The LoveYourself celebrated World AIDS Day in setting up booths at the Vista Mall Activity Center in Taguig City. 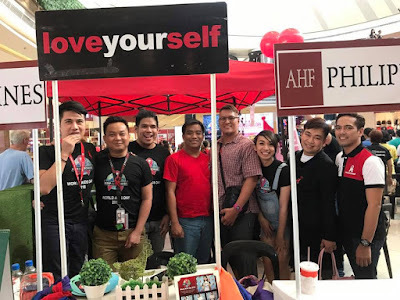 LoveYourself offered free HIV testing services as well as lead several games and giveaways to create a more inviting and light-hearted atmosphere among the participants. Several guest speakers from the DOH together with Taguig City Mayor Lani Cayetano and LoveYourserlf’s very own core founder Vinn Pagtakhan offered speeches and talks to empower the participants in order for them to proactively do their part in the advocacy for HIV/AIDS awareness. They have specifically addressed the youth to invite them to join in traversing the yellow brick road towards preventing the virus from spreading rapidly in their age group. 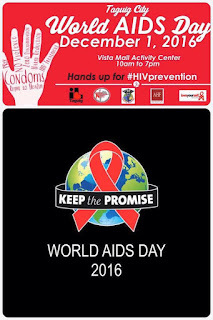 The World AIDS Day event celebrations in the Philippines were indeed successful in its goal to reach out to people incognizant of the reality of HIV/AIDS and the apparent urgency of the crisis wrought by it. Celebrations such as these prove that the community everyone belongs to do not forget and continue to honor those who have bravely fought the disease and those who have learned to live with it. One important note to remember, as people are called to action, that the efforts exerted in pushing forward the advocacy should not only coalesce in specific international events such as the World AIDS Day, but instead, the country should form together an interconnected constellation of compassionate efforts that will signify as well as implore the community to participate this experience of living with HIV / AIDS in their lives – this AIDSpherience.